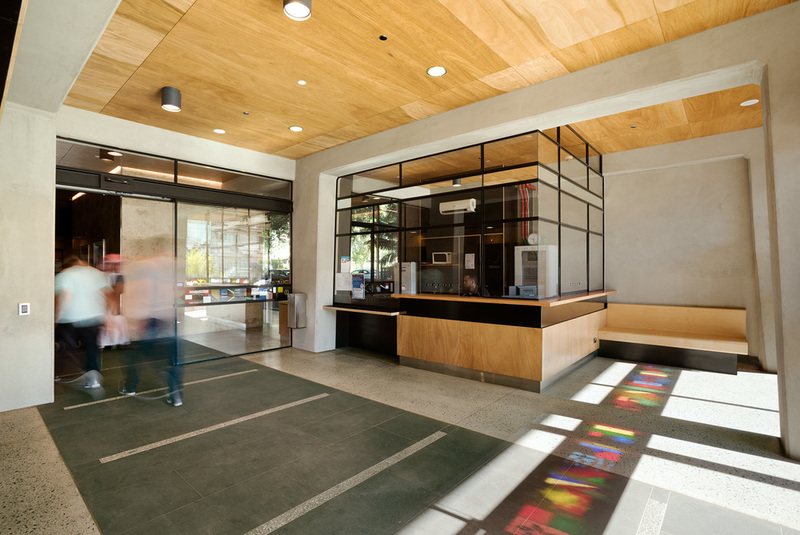 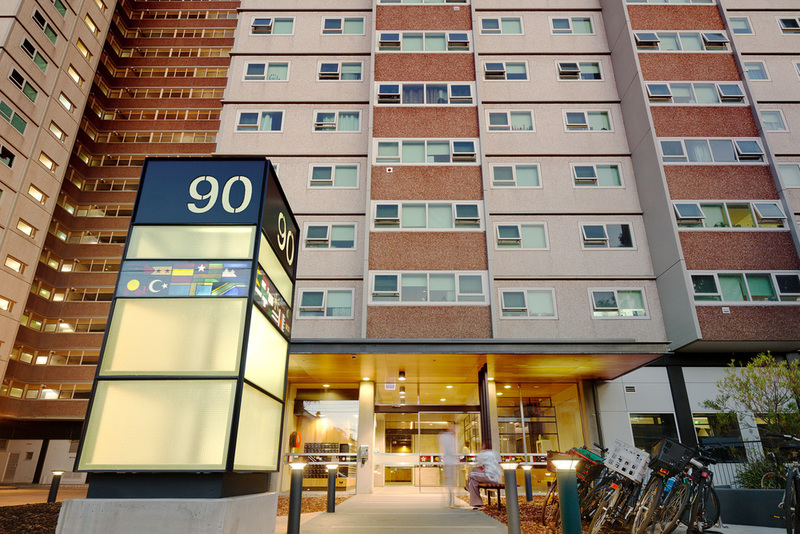 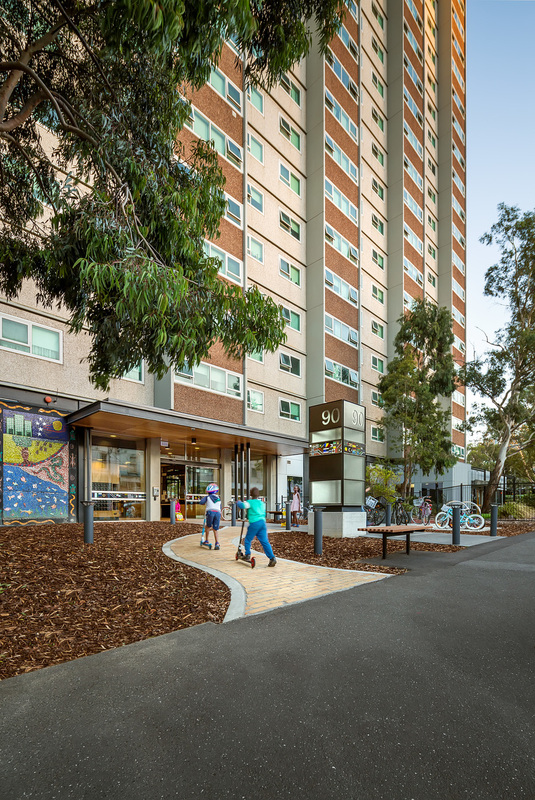 Six Degrees Architects were engaged by the Department of Health and Human Services to refurbish a tired and unwelcoming foyer at a high-rise public housing tower, built in the 1960’s, at Atherton Gardens Estate in Fitzroy, Melbourne. 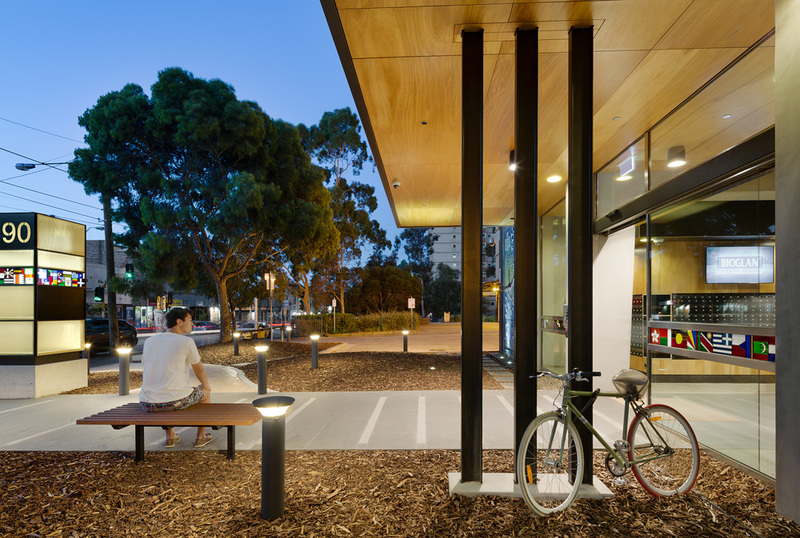 The foyer area was stripped back to bare structure and opened up to have create a public interface with the street, and to flood the space with natural light and create views out to the adjacent parkland. 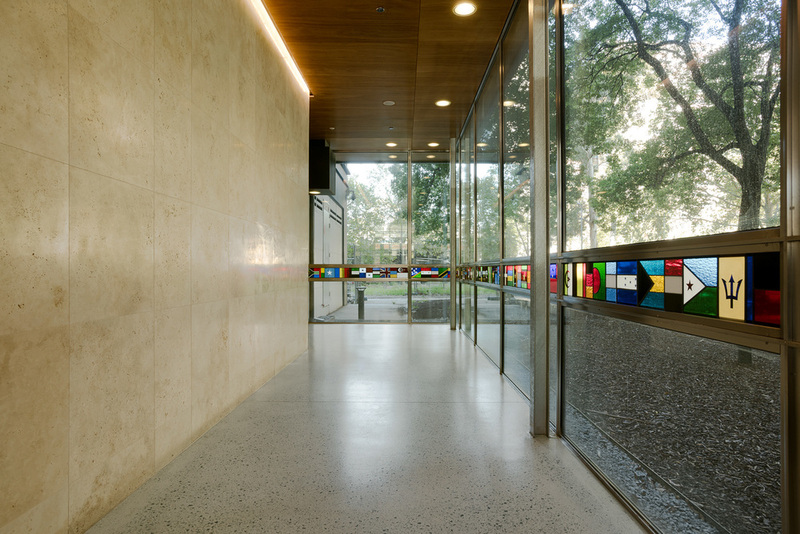 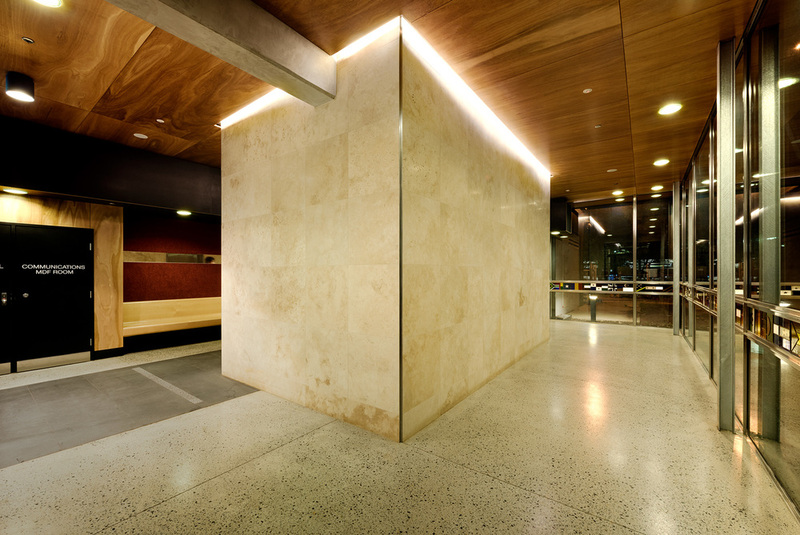 Elegant materials not normally associated with public housing, such as stained glass, stainless steel and travertine stone were chosen for their warmth, robustness and durability, and make reference the classic foyer designs of Ludwig Mies van der Rohe. 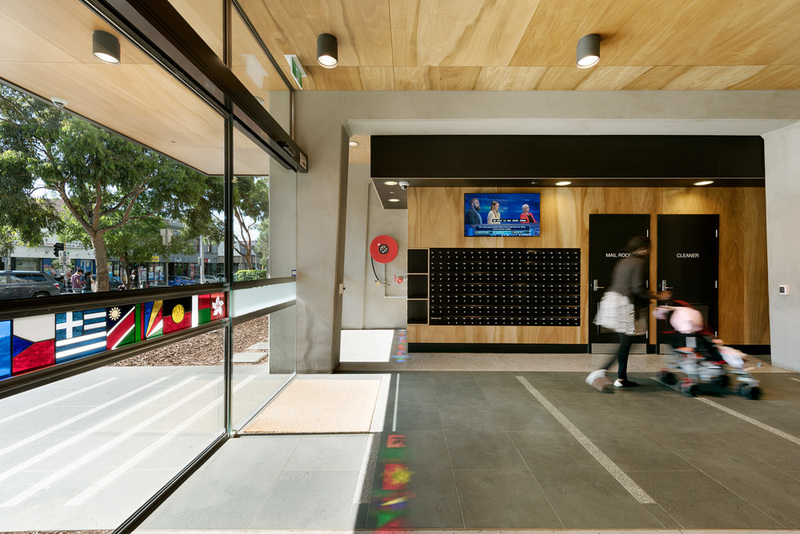 Six Degrees Architects design objective for the foyer was to acknowledge the wide cultural diversity within the building and to make the residents of the Atherton Gardens housing estate feel privileged and proud of their new building entrance.